Maxi Taxi Melbourne Airport: Arriving at Melbourne airport after a long flight and looking for transportation can be a bit daunting. At Melbourne Maxi Taxi, We proudly make that daunting task our responsibility. Our pre booked airport transfers are hassle free option. Why Maxi Taxi Melbourne Airport? We have a dedicated service for airport transfers. Our drivers do almost 10 runs a day to the airport so they knows all the ins and outs of Melbourne Airport. Maxi Taxi Melbourne Airport service is the most popular service in our services catalogue. Another biggest hassle customers face when arriving at an airport is if the flight is delayed. What will happen if my flight is delayed than normal or even cancelled. Will there be any extra charges for this. Our answer is “No, we dont charge extra” The waiting time and tolls used on the roads is all included in our quotes. 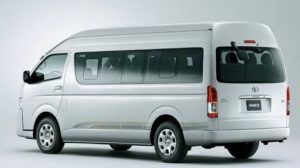 The vans we use in Maxi Taxi Melbourne Airport are hard floored vans white and yellow in color, with and without ramps. Our drivers helps customers get the luggage on van and even help them get off. In our airport transfers, we have wide variety of transfer options. We also have Mercedes V class 7 seater vans and silver service taxis only for airport transfers. Booking with Maxi Taxi Melbourne Airport means you are booking with the best. All of our drivers are accredited. While waiting at the airport, our drivers call our customers and tell them about the about the meeting point. Our drivers wait for the customers to arrive and drop them safely at the destination. Maxi Taxi Melbourne Airport drivers keep water bottles in their maxi taxis and offer them to passengers. We can book airport transfers even on the same day. However we always advise customers to use caution as there are so many factors at play like weather, traffic or roadworks.